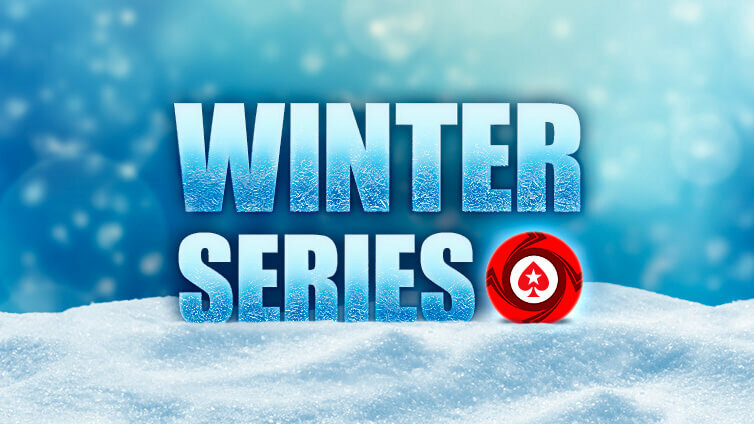 ONCHAN, Isle of Man – January 12, 2018 – The PokerStars Winter Series, which ran from December 25, 2017 to January 7, 2018, far surpassed its $25.4 million guarantee with a total series prize pool of $38,013,576. The series attracted more than 1.3 million entries and close to 203,000 unique players, and also awarded five Platinum Passes worth $150,000 to the PokerStars Players No Limit Hold’em Championship (PSPC). This was the first online tournament series at PokerStars that awarded the packages. The winners of each of the $2.20 Micro, $22 Low, $215 Medium, and $2,100 High Main Events all won a Platinum Pass on top. Germany’s ‘smir9david’, who has been playing poker for seven years, took down the Low Main Event for $68,263.06 topping a field of 24,670 players. ‘The Haamer’ from the Netherlands became the Medium Main Event champion, pocketing $221,965.04 for being the last player standing in a field of 8,218. Every player who participated in the Winter Series was also given an equal chance of securing a Platinum Pass in an All-in Shootout. The lucky winner was Maksim ‘masik777325’ Zakharchenko from the Ukraine, who has been playing poker for just two years after a friend introduced him to the game. This will be his very first time playing in a PokerStars Live event. Platinum Passes are worth approximately $30,000, which includes the $25,000 PokerStars Players No Limit Hold’em Championship buy-in, accommodation at the Atlantis Resort, and around $2,000 for travel and expenses. More than 300 Platinum Passes will be won throughout 2018.